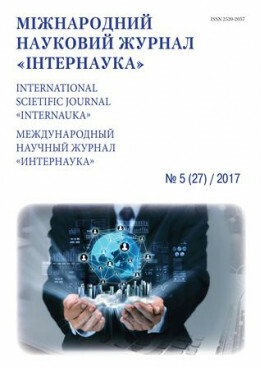 Tabinsky V. A.Pidodnya D. G.Mirzoyan K. A.
Annotation: The article analyzes the gross domestic product in Ukraine in recent years, the dynamics of income change, the Ukrainian budget and tax revenues and the dynamics of the overall level of the tax burden on the Ukrainian economy. Proposed methods of solving pressing problems reforming the tax system in Ukraine. Key words: tax system, taxation, Tax Code of Ukraine, tax policy.